This is the place to talk about all aspects of Golf. 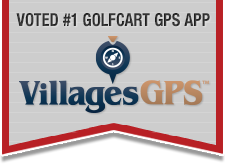 The courses, your clubs, your great shots, form a golf group or anything else golf related related to The Villages. Find and post current golf course conditions in The Villages. Seen any good movies, new or old? Discuss anything general about music and songs. Discuss all TV shows, series and everything in between! Down home or gourmet, let's hear your favorites.